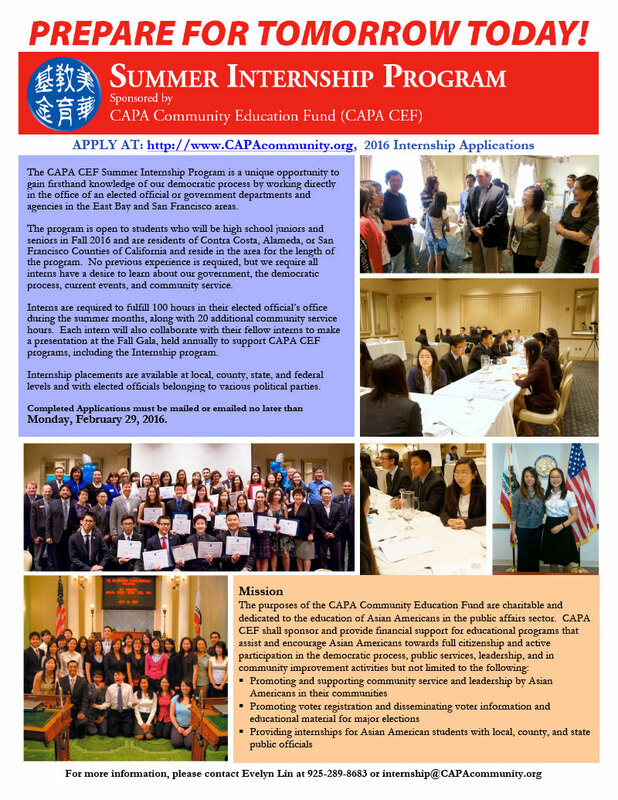 Welcome to the CAPA Community Education Fund. 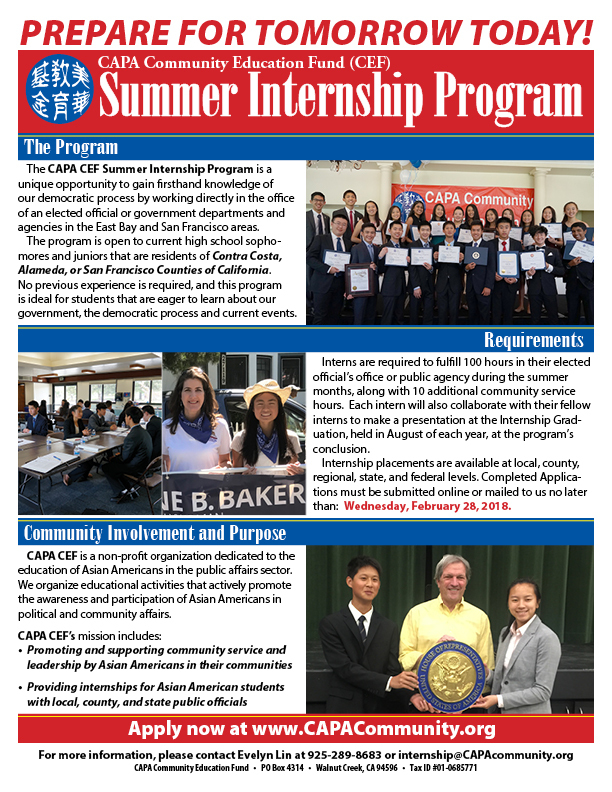 Thank you for taking the time to learn more about the CAPA Community Education Fund or CAPA CEF and our efforts to strengthen and empower the Chinese and Asian Pacific American communities by promoting leadership education, civic development, and voter education and participation. 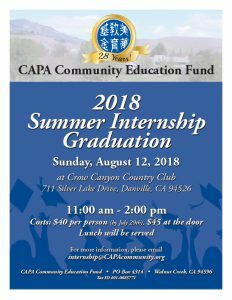 2018 CAPA CEF Interns at Graduation. 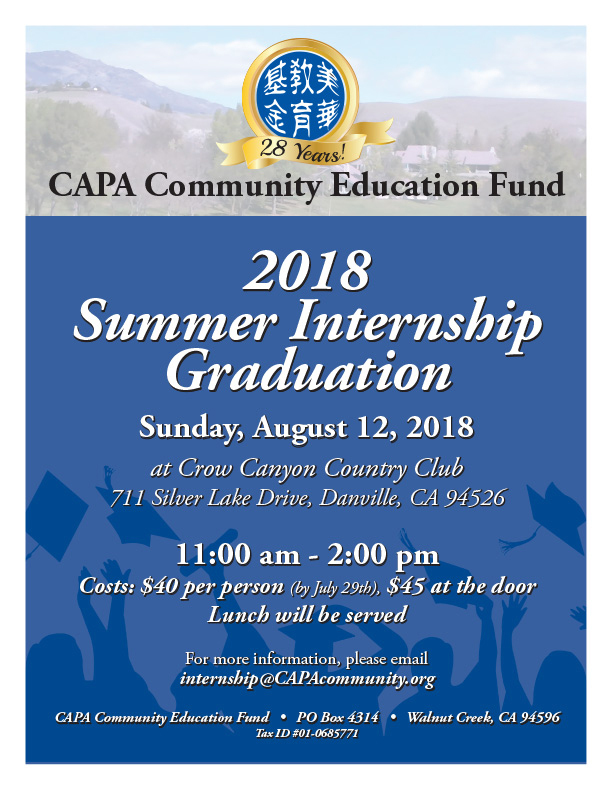 Click here to find out more information and to apply! 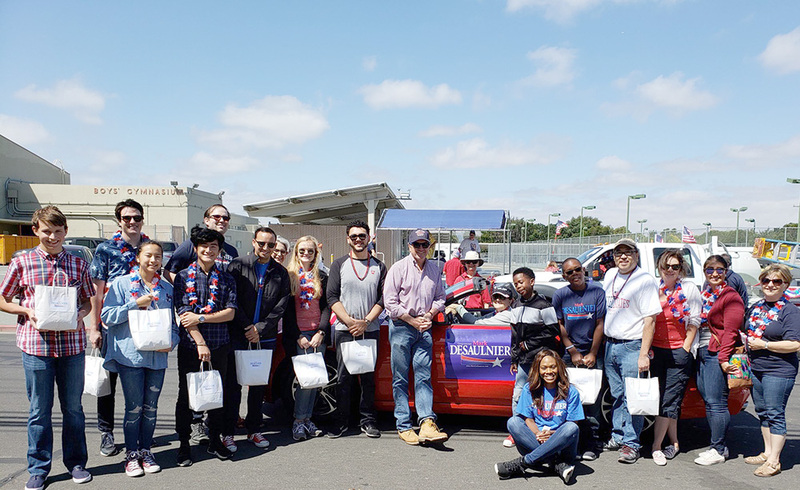 Boardmember Cedric Cheng and former interns Abey Lin and Sabrina Lin participated in the 2018 City of Concord 4th of July Parade with Congressman Mark DeSaulnier. During the holidays, many public officials open their offices to the public for some friendly conversation and an opportunity to meet them and other community members. 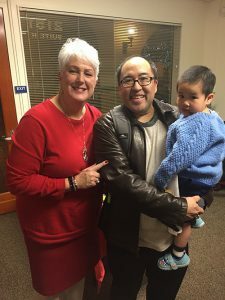 CAPA CEF Boardmember, Cedric Cheng with his son Gabriel with Contra Costa County Supervisor Karen Mitchoff at her holiday open house. 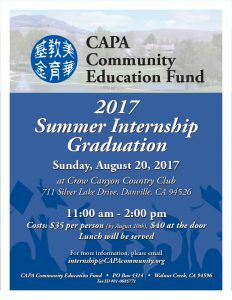 2017 Summer Internship Graduation Event! 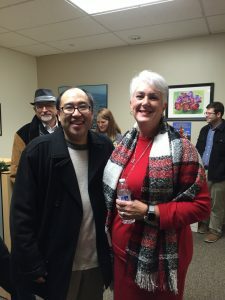 CAPA CEF Boardmember, Cedric Cheng meeting with Contra Costa County Supervisor Karen Mitchoff at her holiday open house. That is re-elected Concord City Councilperson, Edi Birsan in the fedora photobombing us! 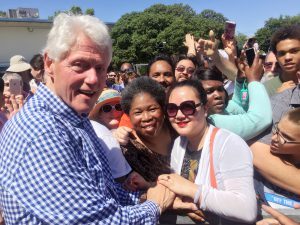 Evelyn and Stephen Lin met former President Bill Clinton during his campaign stop in Antioch the first week in June before California’s Primary. 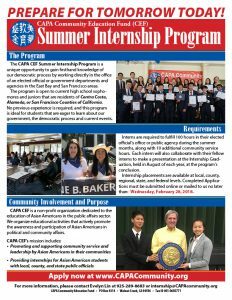 Former Intern, Iris Wang, a graduating senior at Acalanes High School in Lafayette, has been named one of 689 semifinalists in the 2016 U.S. Presidential Scholars Program. The semifinalists were selected from nearly 4,700 candidates expected to graduate U.S. high schools in 2016. Finalists will be named in May 2016. 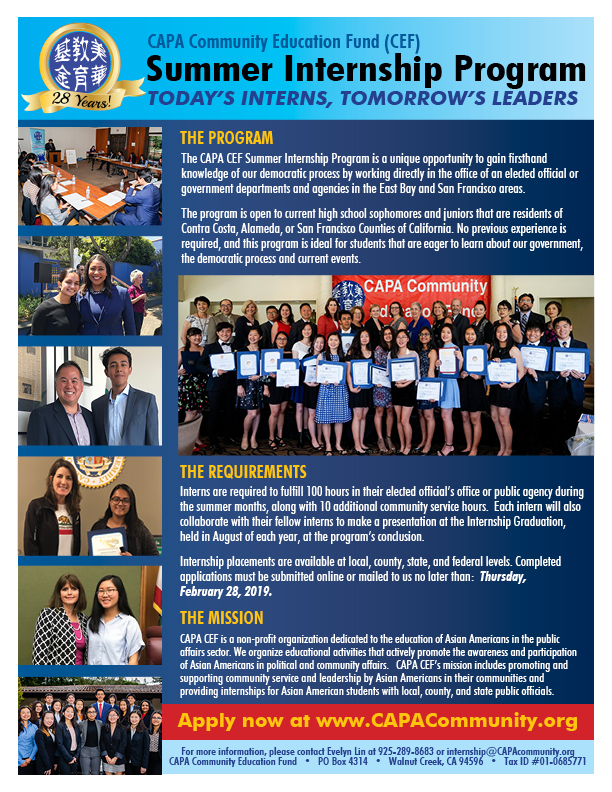 For more information on the U.S. Presidential Scholars Program, please go to: www.ed.gov/psp. 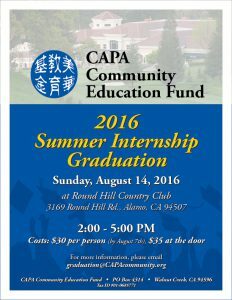 2015 Intern Graduation Event reported by US China Press. 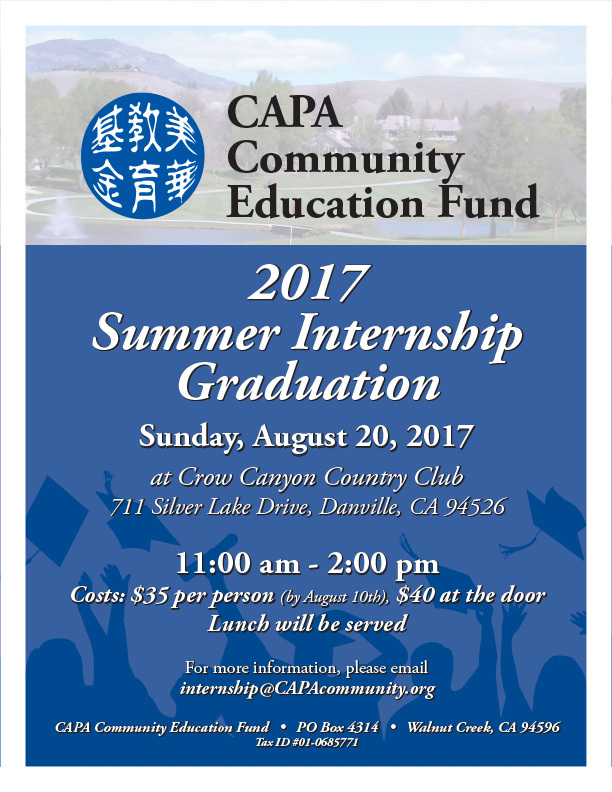 Class of 2015 Interns in the news. to go the deposit payment page.